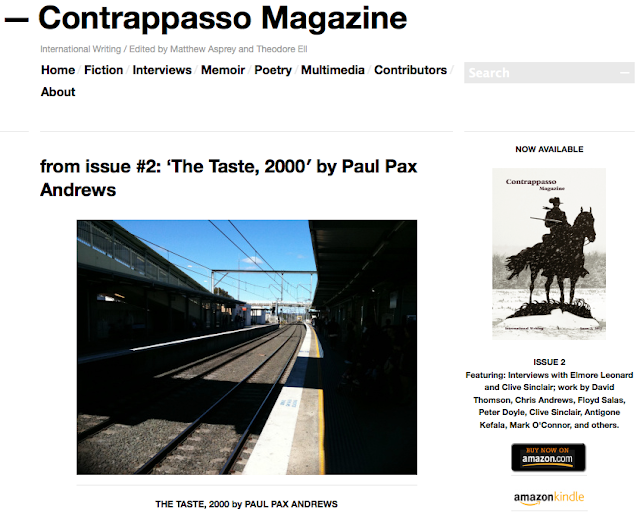 Masonik's Paul Pax Andrews Australian jazz icon battled heroin addiction & came back to music - his memoirs recently published. The best heroin was in Cabramatta, a suburb forty minutes south-west of Sydney. The early-morning trains were full of junkies, mostly sick and hanging out, checking each station and counting the seconds until our collective nightmares would end for a moment, any relief. For just one minute. A rolling sick car of very strange community, huddled, ticket-less. Each of us with our last twenty-five or fifty… Eager to spend it on the only thing that matters. None of us were making eye contact but each is keenly aware of the other. The heroin-dealers were often Vietnamese or Chinese, trying to make a living in their newfound freedoms, yet mostly didn’t use H themselves. That is why the deals were consistent. Sometimes we could get a half a gram for a hundred bucks that would hold us for a day, or twelve hours at least. We’d knock on a garage door and a hand would come out from underneath, take the hundred and subsequently push out a tiny foil wrapped cube of white heroin.